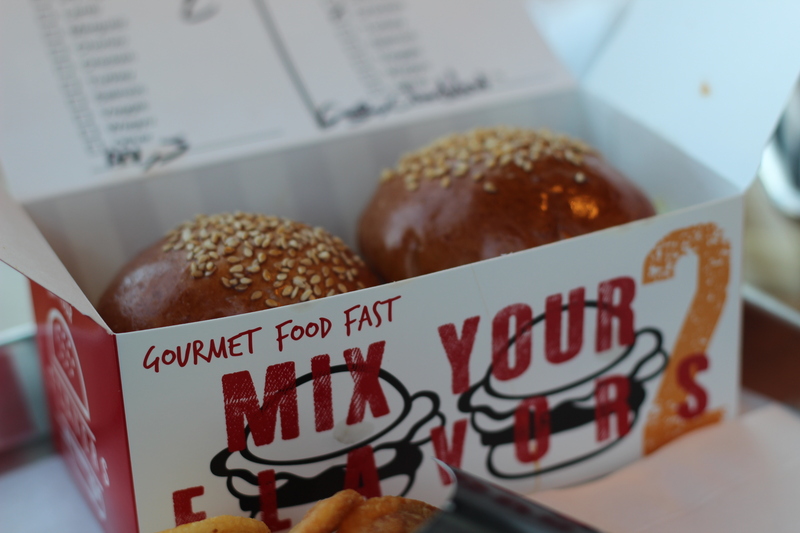 In a nutshell, Burgerim seems to be trying to offer a classier version of White Castle. Mini burgers (sliders to those who don’t know better) are the thing and there are a number of options. Just like White Castle they come in boxes and you’re pretty much encouraged to order in multiples. Unlike White Castle, these patties aren’t super thin and there is beer on tap. 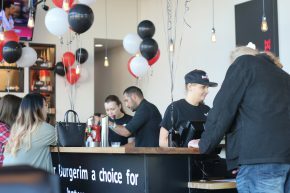 As expected, things were a little bit disorganized to start, with some confusion about which burgers could be ordered and which toppings were available. For example, I ordered one of my burgers with avocado and later overheard that Burgerim was out of avocado. This kind of stuff happens, which is what private openings like this are for. 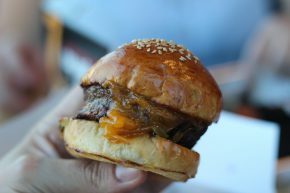 Similarly, while I ordered two straight up beef patties for my mini burgers (no fancy Wagyu since I didn’t know it was an options), what I got was two overcooked and dry patties with buns that would have been great for juicy burgers, but instead added to the dryness. 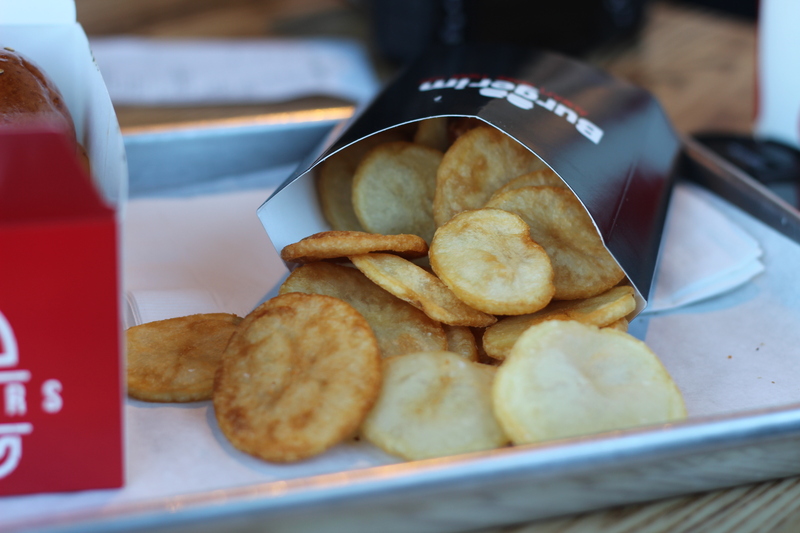 I will say, though, that Burgerim did a really solid job on the toppings (at least those that were available). The fried egg I ordered was perfectly runny and ready to pop as soon as I gave it a squeeze. Similarly, the cheese was perfectly melted and the bacon was nice and crispy. Truth be told, I was just happy cheese and bacon were an option at an Israeli place, which has obviously moved on from its Kosher roots. I should also mention that I had some of their fries on the side, which are more like house-made potato chips than fries. I mean, they are fried, but you get what I mean. They were in need of a good seasoning, but I have to say I was glad there was some Heinz Kansas City-style BBQ sauce at the table for me to dip them in. My buddy also had the onion rings, which were actually really great, but could have used a dipping sauce for themselves. If Burgerim can work out its Grand Opening kinks, it could have a bright future in LA. The competition is fierce and it will be an uphill climb. 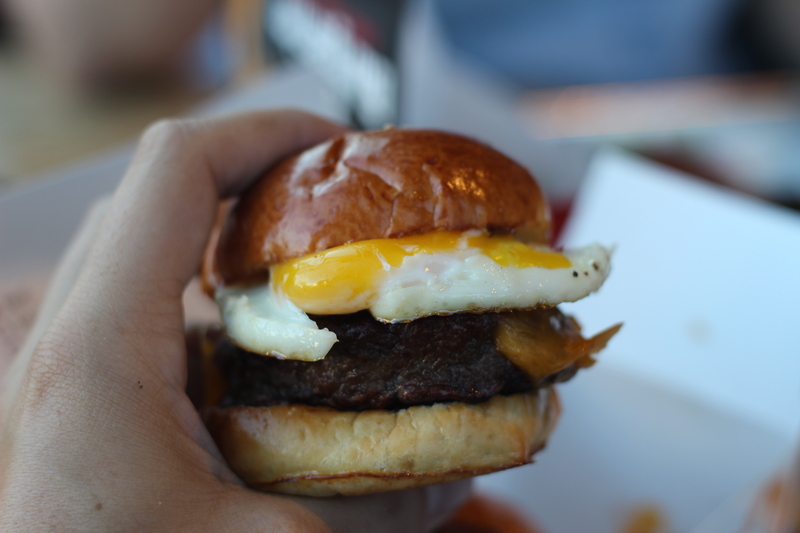 Yet, there is no other White Castle-esque upscale spot that I know of around and obviously Burgerim has proven it can survive on the international stage. With a few tweaks, it has the potential to bring even more excitement to LA’s burger scene.